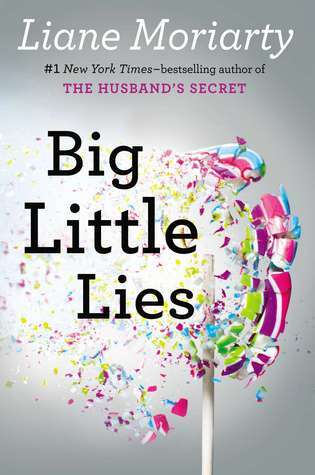 I am going to use this review to try and figure out what I exactly think of Big Little Lies by Liane Moriarty. It was not that this was a bad book, but it also was lacking things. When I looked into the recent works of actress Shailene Wioodley when I saw the tv series. The book has been turned into a tv series and that made me pick this book up. I do not understand what kept me reading this book. Soon I figured out the that some of the pieces were interviews with people and the rest was the story telling the events up to the point of the fundraiser of the school. But the interview pieces also annoyed me, because it takes a while to figure out that it is a police interview with people about the death of a parent of the school. I liked the character of Jane, she is resourceful and caring. She takes Madeline in the car when the woman hurts herself in the first chapter. I would like to know how she deals with the news of Ziggy’s real father. Celeste I had a bit of a problem with, but I could have something to do with not being able to see myself in her situation. She stays in this very violent relationship even though however you turn it, they both need help. That she figures it out by the end of the book, does not mean she is cured. Madeline really feels like this spoiled woman at first, but later you learn she and her husband need to work hard for everything. This is something I like about the character, not just like Celeste being able to spend money like water, no worries and such. But she does mention Ed now does the work he likes best, which I think is an admirable goal. I think I am going to give Big Little Lies three out of five stars, because I feel kind of neutral about this book. I do not think it is the best book that has been written in a while, but the story is good. The way it has been set up just bothers me. Let me know what you thought of this book and/or the tv series! This entry was posted in Book Review and tagged Book Review, Drama, Liane Moriarty. Bookmark the permalink.